Are you on the lookout for a perfect and utterly unique anniversary gift/celebration? Look no further than matching couples birthstone necklaces from Moonstone. Easy to customize and available in a variety of unisex styles, including a pewter finish, this necklace is a unique way to say “I love you” and commemorate both your individuality and your special bond as a couple. By opting for a birthstone design, you are recognizing your partner’s individuality and the month of their birth. Many believe birthstones to have religious origins and that wearing your stone can be a means of protection and strength. So, whether you’re a January Garnet, a May Emerald, or a September Sapphire, you can express your unique birth-month via the Swarovski crystal birthstones featured on our necklaces. If you have children, consider getting the birthstone in their color to honor the family you’ve created together -- or swap birthstones and wear your partner’s birthstone as a sign of your connection to each other. 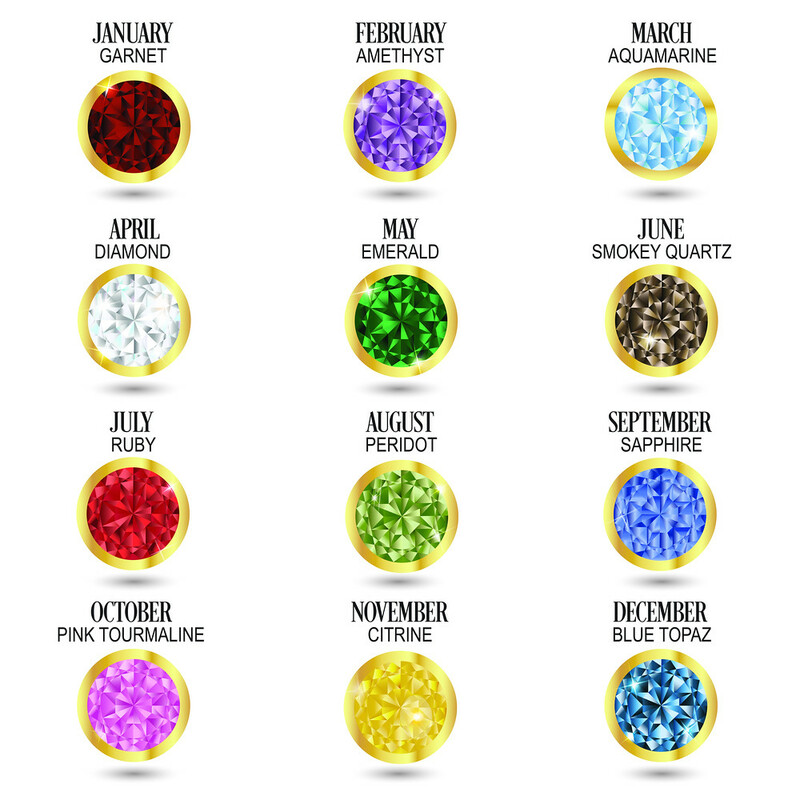 Which birthstone belongs to you? When it comes to celebrating your anniversary and your love for each other, Moonstone Birthstone necklaces take it a step further with our special central lunar charms that soak up the sun during the day to illuminate with a personalized phase of the moon at night. This is where your anniversary comes in -- with Moonstone’s special phase calculator, you can choose to display the exact phase of the moon that hung in the night sky during a particularly meaningful day in your relationship. For an anniversary gift, the most obvious choice is your wedding day. Maybe you were married under a particularly beautiful moon or danced the night away under a waning gibbous. No matter the moon phase, commemorate that special day/night with a birthstone necklace. Or if you prefer to go with something less obvious, choose the moon phase of the day you met, your first date, the day of your engagement, or any other meaningful date in your relationship. The sky's the limit (literally) with Moonstone lunar charms. If you want to make your anniversary celebration extra special and theme it to your gorgeous Moonstone couples birthstone necklaces, plan an evening that incorporates the themes of the jewelry. Plan a picnic under the moon and take in the beauty of the night sky before sharing a gift that captures that beauty in a more permanent way. Go on a moonlit river cruise. Watch the moon rise over the ocean. Or plan an outing to an outdoor movie screening (or make a DIY movie screen in your backyard) so you can take in a favorite film under the night sky. If you really want to go the extra mile, consider planning your outfits or your party goods (whether it’s paper goods, a tablecloth, or blankets) in the color of your birthstones. That way, when you open your presents, you’ll be matching the beautiful crystal on the necklace as well as the moon in the night sky. Your spouse will appreciate this extra touch and recognition of their birth month. If you’re looking for something utterly unique and romantic that captures both your relationship and your individuality, look no further than couple’s birthstone necklaces. It will be a one-of-a-kind anniversary celebration. Sign up to receive Moonglow special offers!